From 2015 to January 2019, American Pipe Handlers has used Vacuworx equipment to lift and maneuver 4,000 miles of pipe throughout the United States. The following are the latest and greatest in pipe lifting technology, including vacuum lifters, pipelayers and sidebooms. LaValley Industries is proud to debut the newest member of the DECKHAND® family, DECKHAND XS. Built with the same versatility and dependability of the legendary Deckhand, Deckhand XS is designed for use on 12-16 ton excavators and can handle pipe diameters from 2”-24” utilizing its interchangeable Arms. Featuring 360° continuous rotation, tilt, and shift functions, XS deliver unmatched load control and placement. A convenient in-cab display and joystick controls allows the operator to safely operate, monitor and adjust all functions from inside the excavator cab. Load locking valves insure that the load is never dropped regardless of hydraulic pressure and the excavator’s auxiliary hydraulic circuit powers the XS even in the most adverse weather conditions. At No-Dig 2019 in Chicago, LaValley Industries will be unveiling the DECKHAND® XS along with our newest pit pump solution for the HDD industry. 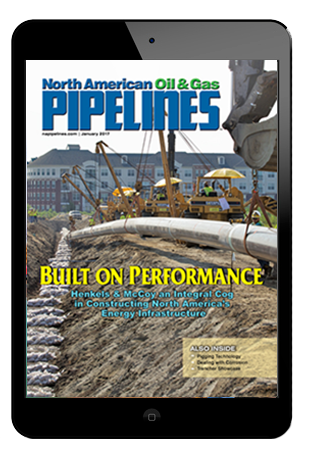 For operators and contractors looking for the latest pipeline and HDD technologies, the future is now. Visit us at lavalleyindustries.com or at No-Dig Booth #514. For more information, visit lavalleyindustries.com. The Liebherr RL 56 Litronic pipelayer has been designed with focus on both, buyers’ and operators’ requirements. Customers benefit from the increased lifting capacity (158,733 lbs), the hydrostatic travel drive with infinite speed control and the modern comfort cab with all around view and new intuitive controls. A hydraulically powered winch permits stepless and precise speed control of the load hook. As soon as the winch stops moving, the automatic safety brake is activated and holds the load securely. Instead of a second winch, Liebherr installs a lifting cylinder on all pipelayer models. This cylinder is maintenance free and prevents unintentional folding of the boom in critical situations. This concept also eliminates the risk of an overpull of the boom. Together with the standard free fall device of the hoist winch and the fully integrated LMB (Load Moment Limitation) all Liebherr pipelayers provide maximum safety for the operator. The RL 56 Litronic is driven by a Tier 4f Liebherr diesel engine with an output of 210 kW/281 HP (SAE J 1349). To optimize the combustion process, Liebherr relies on the new Selective Catalytic Reduction technology (SCR). This technology does not require the use of a Diesel Particulate Filter (DPF) and guarantees ease of maintenance and low fuel consumption. 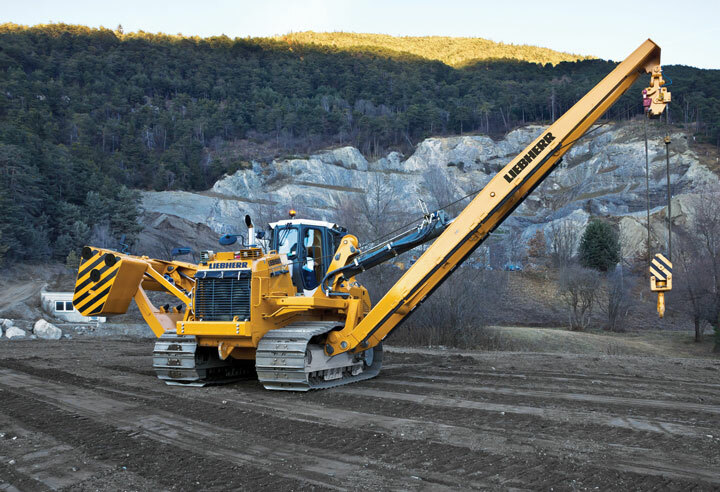 For more information, visit liebherr.com. Midwestern’s new M100C sideboom attachment (100,000-lb lift capacity) for the new John Deere 850L PL platform, along with the existing M170C (170,000 lbs) and M220C (220,000 lbs) attachments for the 1050K PL platform, delivers unsurpassed visibility, operating ease and a low profile design that provides balanced weight distribution for optimum lifting. Midwestern has been designing, manufacturing and installing sideboom attachments on John Deere Construction Equipment for more than 50 years. For more information, visit sidebooms.com. Purpose-built to meet the unique demands of pipeline contractors, the Cat PL Series pipelayers are designed for long life, serviceability and with safety features to help protect personnel in and around the machine. 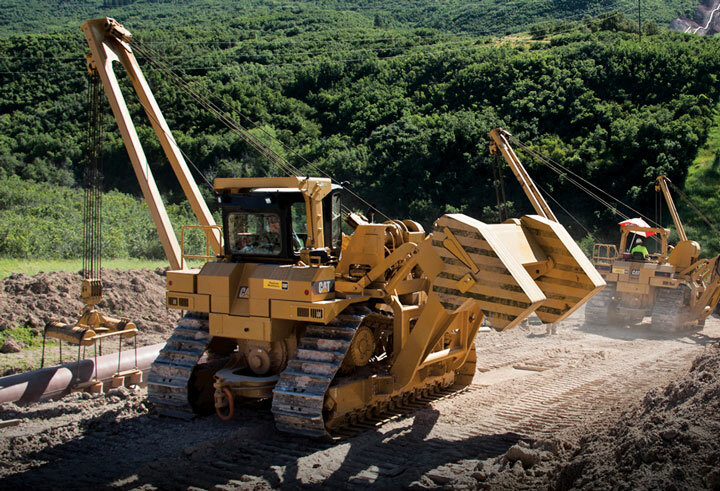 Standard safety features on the Cat PL series pipelayers include a Roll Over Protective Structure (ROPS), operation detection system, seat belt indicator, improved machine center of gravity in the frame, quick drop control, and glass area in the cab that has been arranged for maximum visibility. In 2018, rearview cameras with a dedicated display were added as standard on all pipelayers to add visibility around the machine. A second camera can be added as an option. This camera will be magnetic based so that you can point it wherever you need extra vision, such as off the front of the machine, counterweight side, ditch side, or wherever it is needed. The Cranesmart Load Monitoring Indicator (LMI) was also added in 2018 as a standard safety feature for the PL72, PL83 and PL87 pipelayer models. 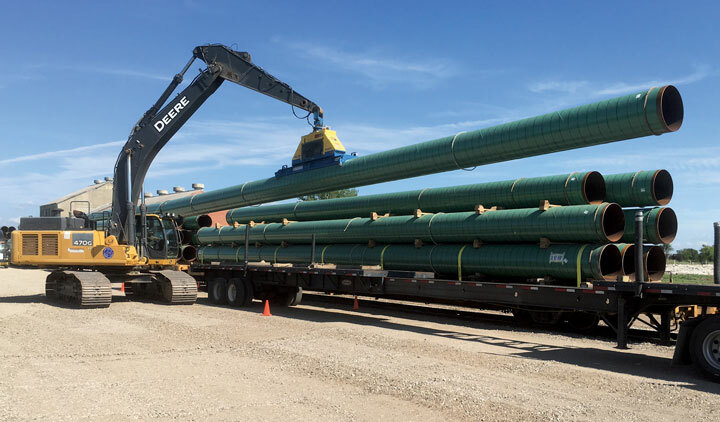 This feature benefits the entire crew because it allows the operator to know weight distribution during the lowering-in process, reducing the risk of stress on the pipe and the possibility of machine tip-overs. For more information, visit plmcat.com. The Vacuworx Advantage starts with a commitment to safety. All Vacuworx RC Series Vacuum Lifting Systems feature wireless remote operation from the cab of the host machine and 360-degree rotation to position materials without the need for tag line operators on the ground. These features offer a safer alternative to using hooks, slings or chains and help keep personnel out of harm’s way. 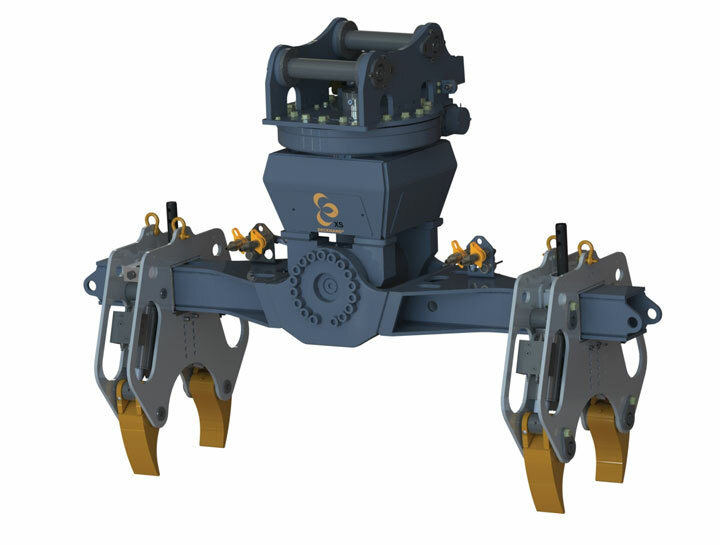 Designed to handle materials from 22,000 to 55,000 lbs, in conjunction with larger-capacity host carriers, RC Series lifters are best suited for large diameter energy and infrastructure projects, as well as material handling at port facilities, pipe mills, and storage yards. Fully self-contained units are powered by diesel engines and can be hooked up and ready to go in a matter of minutes. “H” models operate using the hydraulic system of the host machine to eliminate fuel costs, emissions and noise. Vacuworx Lifting Systems are also designed to increase productivity and benefit the bottom line. Vacuum lifting allows faster load and unload cycles with less downtime than conventional methods since there are no slings and chains to hook and unhook. Vacuum lifting virtually eliminates damage to materials and coatings without having to take extra precautions. And the need for fewer ground personnel reduces the risk of accidents and lowers payroll and insurance costs. For more information, visit vacuworx.com. 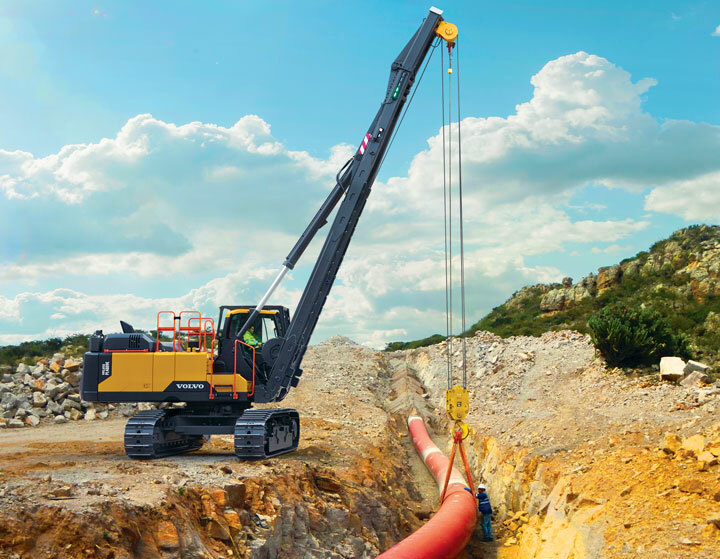 The Volvo PL4809E rotating pipelayer is an excavator-based design delivering lifting capacity that outperforms the largest traditional side booms in its size class. 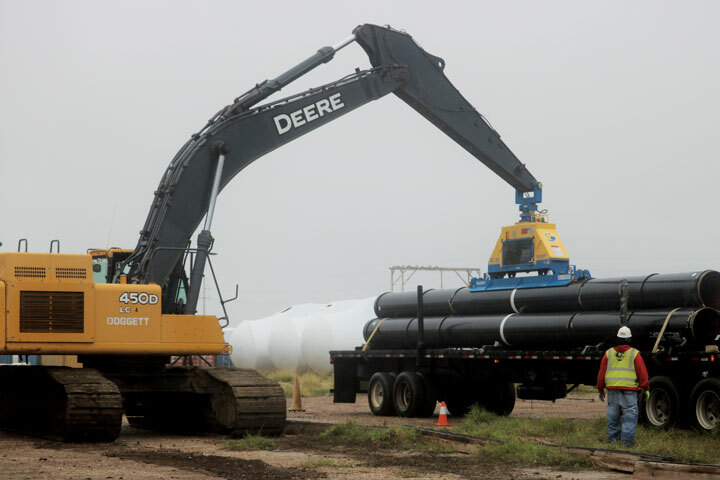 With a 360-degree swing capacity, the operator can safely rotate the superstructure to lift and place large, heavy pipes anywhere around the machine with ease. Tipping capacity for the Volvo PL4809E is 242,000 lbs, or 110 metric tons, which lets the machine efficiently handle heavy-duty tasks such as loading and offloading, tie-ins and feeding pipe-bending machines. 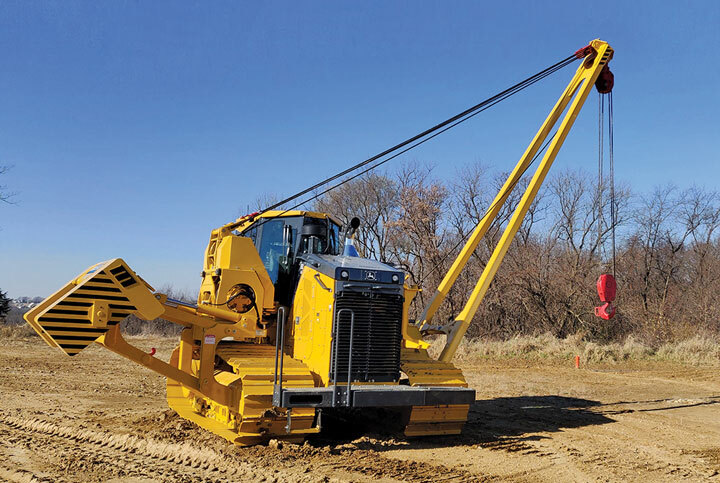 If needed, the PL4809E can be converted into a standard excavator by switching out the boom in as little as 4.5 hours — offering two machines in one. Operators are also able to manage and monitor loads and receive alerts when the limit is reached through visible and audible warning signals. Operators can see what they can safely pick up relative to the slope, as displayed on a color monitor. Side and rear-view cameras also increase visibility by reducing blind spots for the operator. The controls are based on the excavator cab layout, which means contractors can pick from a large pool of operators to handle this machine. They will enjoy an industry-leading spacious and comfortable cab designed with a hydraulic riser system to offer visibility into the trench and around the worksite. For more information, visit volvoce.com.